World-renowned for its coastline, it is easy to forget that the French Riviera is also home to some beautiful open green spaces. Grab a baguette, some wine, cheese, and whatever else strikes your fancy, and enjoy one of the most satisfying and cheap days out around. What better way to sample the region’s delicacies than an old-fashioned picnic? 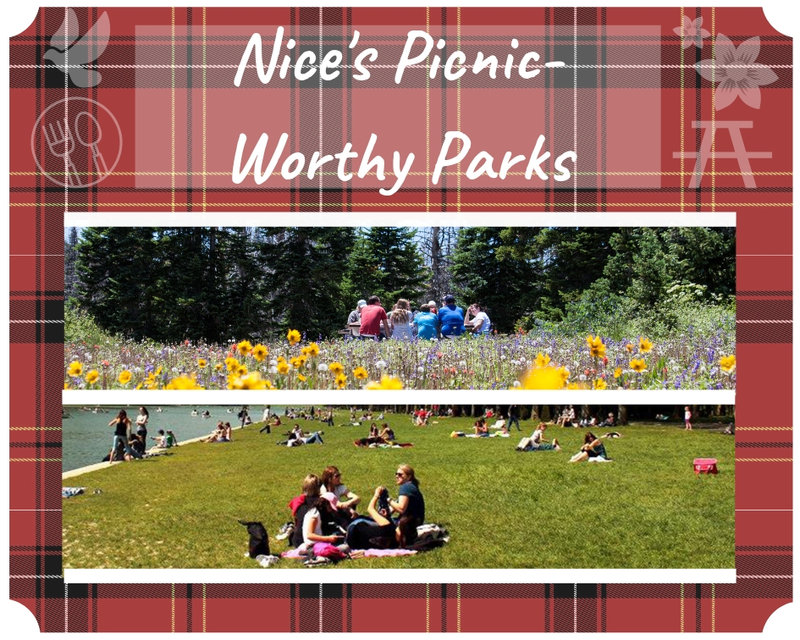 Nice’s numerous parks are a haven for picnic-goers all year round. Weekends, holidays, and peak summer months may mean you have to look hard for a space, but we’ll give you a head start with where to find those less well-known hideaways in park paradise. Parc Naturel Départemental d’Estienne d’Orves: l’Avenue d’Estienne d’Orves. It takes about 20 minutes’ walking uphill or you can take the lift to reach this park. It is situated to the west of the city, with rewarding views in all directions. Parc Castel des Deux Rois: Corniche André de Joly. You will find this park just east of the Port area, upon the hillside. It hosts a simple open design, which is perfect for a picnic and the kids to run around in, but overflowing with natural beauty from the surrounding trees and greenery. Jardin des Arenes de Cimiez: 184 Avenue des Arènes de Cimiez. Slightly further out from the city, although easily accessible via buses, you find this relaxing park that’s covered in olive trees in the Cimiez neighbourhood, alongside the Musée Matisse and a Monastery and its attractive gardens. Colline du Château: Accessible from Rue des Ponchettes, Rue de Foresta, and Montée Montfort. There is a lift if you prefer, but otherwise it is a short but intense uphill walk to get a great view over Nice and the sea, with the waterfalls on the climb up making good stopping points. Once you reach the park at the top, there’s plenty of place to lay out a blanket and enjoy the fresh air, and a play park for children. Sentier du Canal de Gairaut: Avenue de Rimiez. Perfect jogging area – alongside a 1750m long “canal”, with space both sides of the shallow water for children to play. It’s a little further North of Nice centre, but worth it for the tranquillity and beautiful views towards the sea. Parc Vigier: Boulevard Franck Pilatte. You find this small but sweet park just past the Port of Nice, just behind Coco Beach. Just far enough from the city centre to escape the hustle and bustle, but only requires a short stroll to reach it – distinct to the abundance of high up parks that Nice offers.